“Mycor” – “rhiza” literally means “fungus” – “root” and describes the mutually beneficial relationship between the plant and root fungus. These specialized fungi colonize plant roots and extend far into the soil. Mycorrhizal fungal filaments in the soil are truly extensions of root systems and are more effective in nutrient and water absorption than the roots themselves. More than 90 percent of plant species in natural areas form a symbiotic relationship with the beneficial mycorrhizal fungi. Mycorrhizal fungi increase the surface absorbing area of roots 100 to a 1,000 times, thereby greatly improving the ability of the plant to access soil resources. 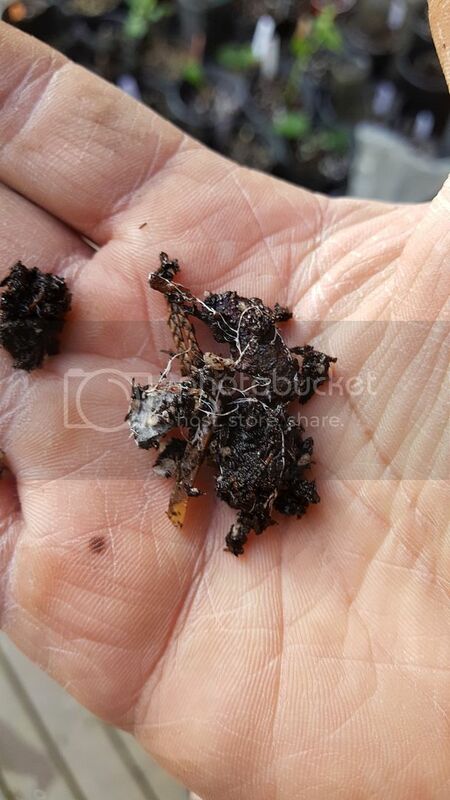 Several miles of fungal filaments can be present in less than a thimbleful of soil. Mycorrhizal fungi increase nutrient uptake not only by increasing the surface absorbing area of the roots, but also release powerful enzymes into the soil that dissolve hard-to-capture nutrients, such as organic nitrogen, phosphorus, iron and other “tightly bound” soil nutrients. This extraction process is particularly important in plant nutrition and explains why non-mycorrhizal plants require high levels of fertilization to maintain their health. Mycorrhizal fungi form an intricate web that captures and assimilates nutrients, conserving the nutrient capital in soils. Undisturbed soils are full of beneficial soil organisms including mycorrhizal fungi. Research indicates, however, many common practices can degrade the mycorrhizae-forming potential of soil. Tillage, removal of topsoil, erosion, site preparation, compaction, fumigation, invasion of weeds, and leaving soils fallow are some of the activities that can reduce or eliminate these beneficial soil fungi. Scientific studies indicate endo mycorrhizal fungal populations are slow to recolonize, unless there is close access to natural areas that can act as a source of mycorrhizal spores to repopulate the affected area. Reintroducing mycorrhizal fungi in areas where they have been lost can dramatically improve plant performance with less water and fertilizer and at a reduced cost. Basil with mycorrhizae on the left and the one without on the right. 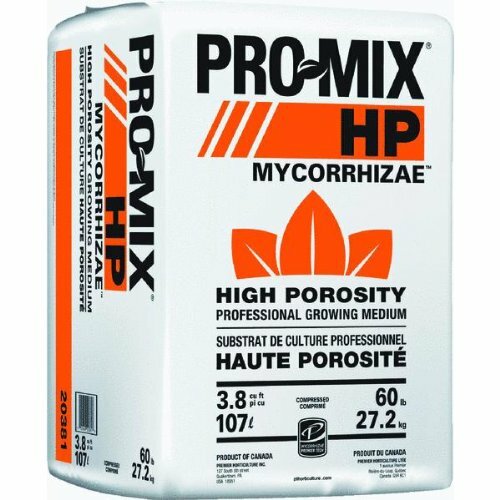 Mycorrhizae can be very expensive to constantly buy. So why not grow your own? 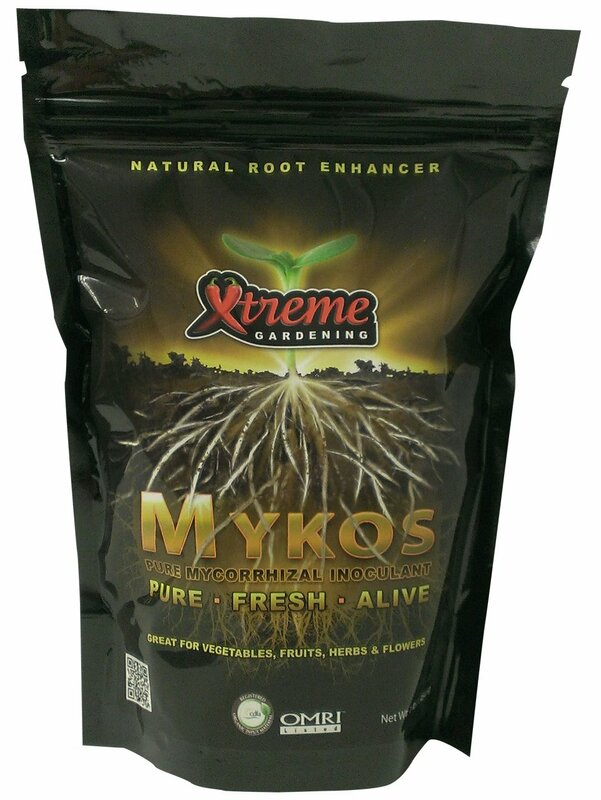 Mycorrhizae is found naturally in areas with lots of wood mulch, compost and leaf litter. That's why compost tea can be so beneficial to your plants because you're adding beneficial bacteria and Mycorrhizae to the root of the plant. I have noticed that even in my "lasagna method" trays of rooting figs, Mycorrhizae fungus can be found at the bottom of the trays. This has given me the idea that you can grow your own Mycorrhizae, just as long as you give it the right environment and seed the container with some of spores. 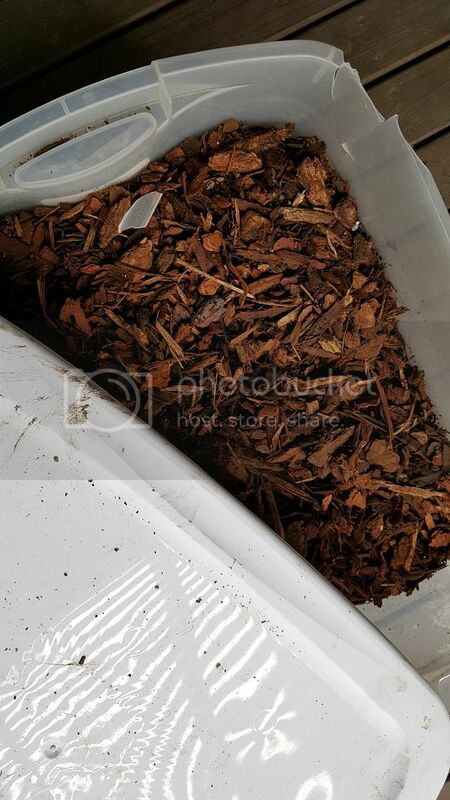 My plan is to keep wood chips with Mycorrhizae spores in a plastic bin with high humidity. And in each up pot I will add a handful or two of the seeded wood chips. Here's what it looks like. A spider web like fungal spore. This came out of one of my pots after up potting. White gold!